The KitchenAid Artisan Series features 10 mixing speeds and 59 touchpoints to ensure quality, consistent mixing results every time. 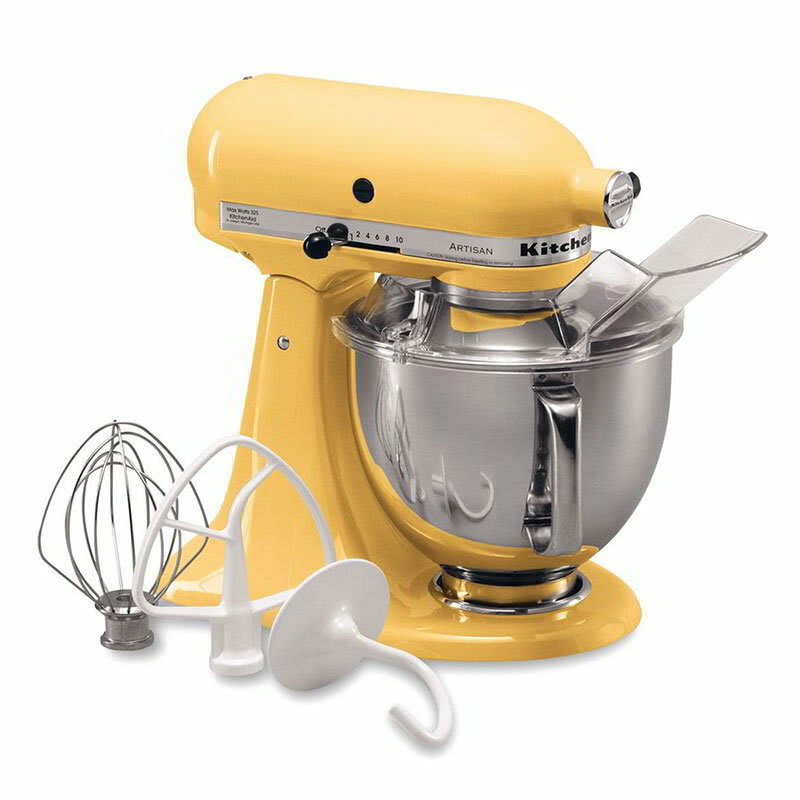 This model has a majestic yellow exterior and a tilt-head design that makes it easy to attach beaters or add ingredients. Included with the purchase of an Artisan Series mixer is the mixing bowl, a pouring shield, a flat beater, dough hook, and wire whip. Artisan Series 5-quart mixer, 10 speed, tilt back head for easy access to mixture, 1-piece pouring shield with large chute for adding ingredients, includes flat beater, dough hook and wire whip. 325 watts, 120v/60/1ph, Majestic Yellow. Warranty not valid when used in commercial environment such as a bar or restaurant.